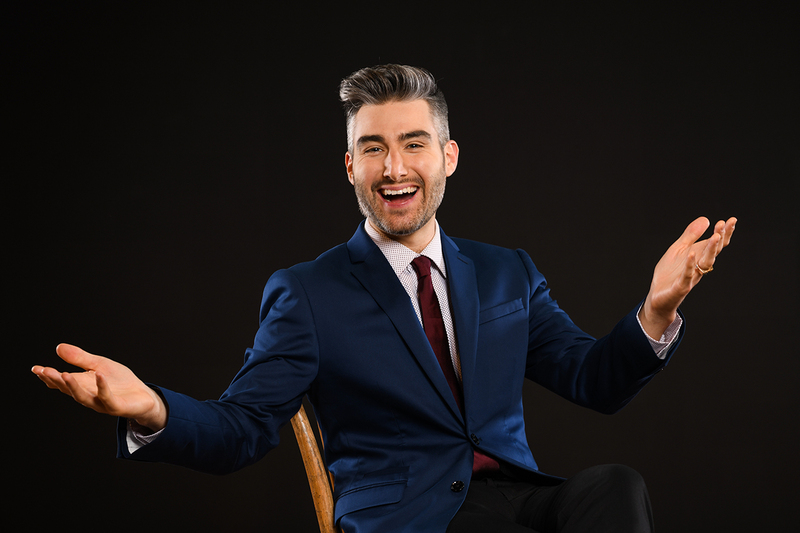 Meet the Host of Show Offs, Casey Jost! BYUtv's newest unscripted comedy show, Show Offs, is coming in the spring and we can't wait for you to watch this improv show where the jokes and notes are anything but flat. From now until the premiere, we'll be introducing you to the cast members of Show Offs starting with the host, Casey Jost! BYUtv: How tall are you? Casey Jost: I think I'm 5'11" and a half, but I might be 6'. I'm like on the fence, I never know what to say because I think, like, I should be like I'm 6', but it doesn't feel right, so sometimes I say 5' 12". I'm Casey Jost. I'm the host of this show, which worked out nicely, host, Jost. BYUtv: What is Show Offs? Casey Jost: This show is so much fun, there's really nothing like it. They're creating an entire show from the top of their head, from audience suggestions and stuff. It's a different show every time. All these different genres. Like almost like a play. A made-up play and the whole time, my job is to kind of throw them curve balls. I'm sort of this director role that might pause a scene and make them do something, that you might see in like a Whose Line is it Anyway? So, it's different than other things you've seen, but it feels like something you've watched in the past which is good. BYUtv: What is your favorite part about hosting? Casey Jost: My favorite part about hosting is messing around with the cast, and in the middle of the scene stopping it and giving them something that makes them laugh, that makes the audience laugh, just thinking about it. And then they knock it out of the park. Casey Jost: I like to skateboard, play music, collecting some old instruments, like there's some stuff I've been finding online that's too expensive to buy, but they're like fun. They're like collectibles. It's like how some people are like, I like an old car. I like an old keyboard. I like an old school electric piano. BYUtv: What is your dream vacation? Casey Jost: Dream vacation. I like to go to places I've never been, so I went to Iceland last year and that was really fun and I'd like to go to Portugal, I'd like to go to Barcelona, so a little bit of exploring, Prague maybe. I don't need a beach, I like a beach, don't need a beach. The Casey Jost story. BYUtv: What will viewers love the most about the show? Casey Jost: I think viewers will really attach to the talent and they'll all pick their favorites, they'll be like Hailey's my favorite or Lisa or Maclain. They'll find their favorite character and connect to their talent. Nobody will like Jake because he's too likeable. That's the thing, Jake's biggest weakness is his strength. BYUtv: Describe the show in three words. 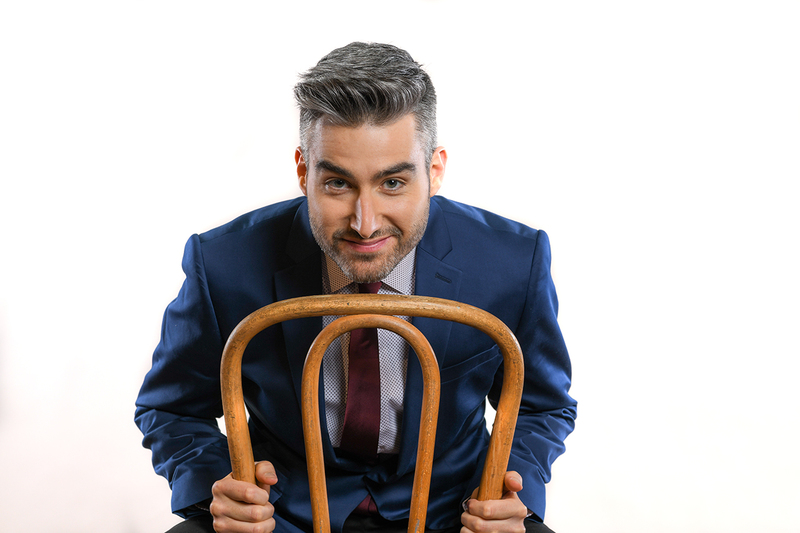 Casey Jost: Spontaneous, musical, explosion. BYUtv: Is anything in Show Offs scripted? Casey Jost: It's completely off the rails. It's off the cuff and everybody's making up every single line in the entire show. Nothing's ever, you can't script stuff like this. If you did it comes off stale or fake. It has to be authentic. BYUtv: What else do you want the viewers to know? Casey Jost: I think that the show is amazing and you're gonna love it and I want you, the audience to come to see it live too. Because that's a whole other experience. There's so much stuff that makes the cutting room floor that's so exciting. We keep the party going and there's just like music being played and the band rocks, and I'll sing songs, I'll bring people up from the audience and they'll do karaoke with a live band. That stuff's really fun, so come check out a live taping. It's really cool. 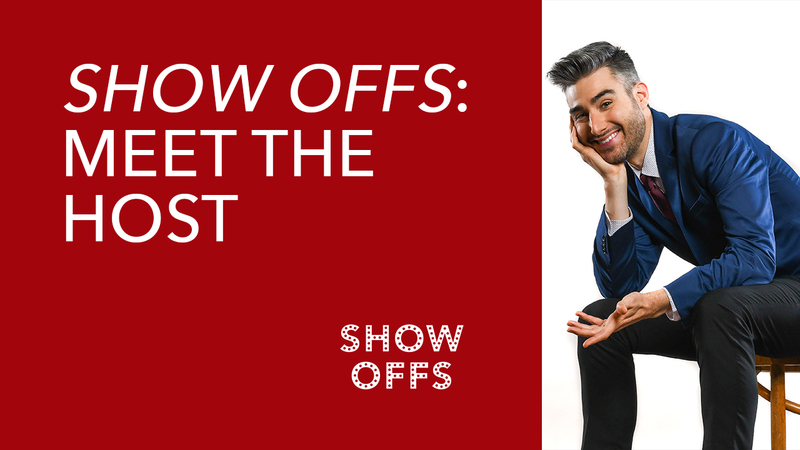 The hilarious, interactive musical improv series Show Offs gives its cast, along with a special celebrity guest, the chance to “show off” by performing a spontaneous improvised play or musical, prompted by random ideas from the studio audience and accompanied by a live band. 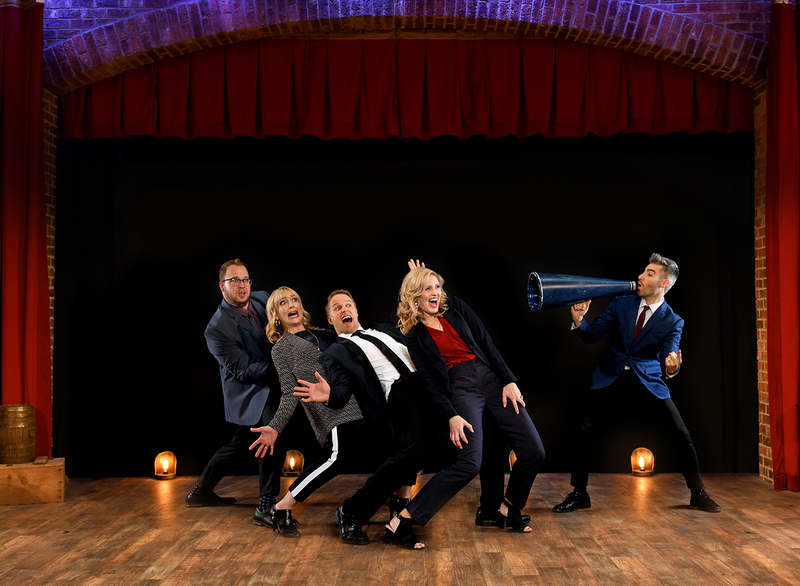 Hosted by comedian Casey Jost (“Late Night with Jimmy Fallon”), its cast features executive producers and co-creators Maclain Nelson (“The Saratov Approach”) and Jake Van Wagoner (“Impractical Jokers”), as well as Lisa Valentine Clark (“Random Acts”) and Hailey Smith (“Once I Was a Beehive”).